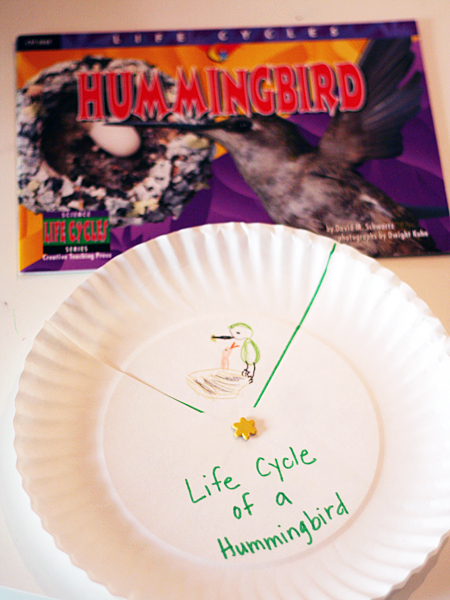 The girls had fun making life cycle spinners using two paper plates and a brad. 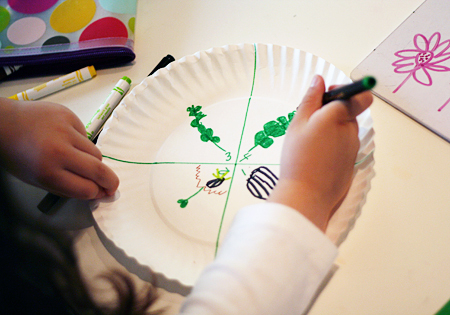 I drew lines to divide one plate into four sections and the girls illustrated the plant or animal life cycle of their choice. I cut a wedge-shaped window out of the other plate and we used a brad to attach it to the illustrated plate. Simple, but fun! The spinners have been great for retelling and explaining the life cycles. For older students, divide the plate into more sections and add captions to go with each stage. 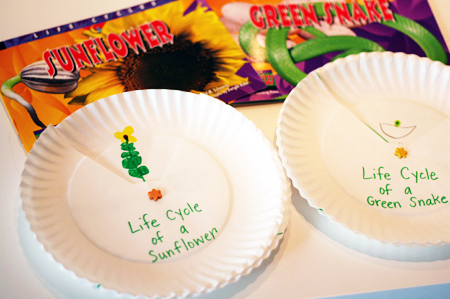 No paper plates hanging around your house? Cardstock or thin cardboard, such as cereal boxes, would work great, too! What are you exploring this spring? these are really cute! love the idea! Like a super big, easy to make wheel book. Love it!